NASBLA employs a committee structure to identify issues and address needs in the recreational boating safety public policy realm. NASBLA’s committees function as the primary source, sounding board and national policy-setting forum for each of the significant program areas addressed in the National Recreational Boating Safety Strategic Plan. These committees develop best management practices, model procedures, model acts, position papers and other products. The committees also play an important role with respect to shaping a national response to a given challenge, problem or issue. Some issues impacting boating safety and security are resolved simply through open discussion and the exchange of ideas and experience. On the other end of the spectrum, more entrenched or long-term challenges may ultimately require a statutory or regulatory response to effect the desired outcome. 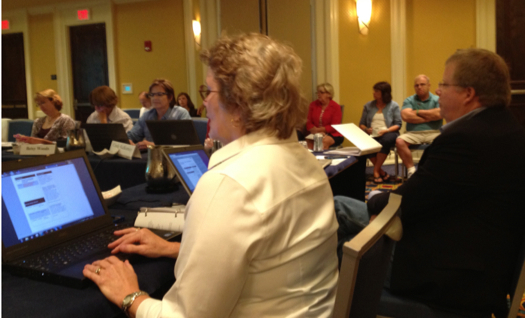 NASBLA committees help the Coast Guard and other policymakers determine the appropriate response. In addition to the state boating agency members, the committees include broad representation from recreational boating professionals throughout the boating industry, the nonprofit sector, international interests, the boating public, and federal and local agencies.